Mount Ama Dablam is a beautiful mountain, located almost due south of Mt. Everest and Mt. Lhotse in the Khumbu region, view from Tengbuche Everest Region. The first and largest conservation area in Nepal. 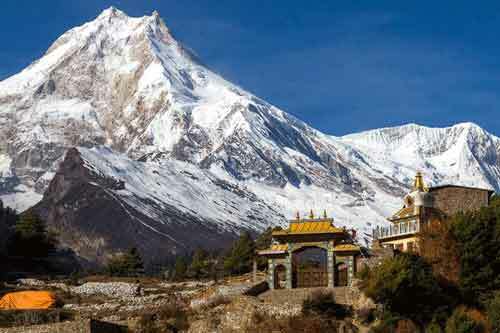 The Annapurna Conservation Area is home to several world-class treks, including the Annapurna Circuit. 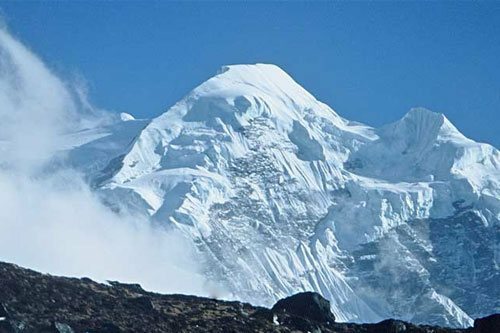 Dhaulagiri, the seventh highest mountain in the world, is situated in Nepal and forms part of the Dhaulagiri mountain range. Trekking in Nepal or walking holidays are definitely the best ways to explore Nepal and her natural beauty. The tiny Himalayan republic of Nepal has everything to offer; nature, culture, travel and adventure. Snow clad mountains, fertile plains, Himalayan peaks to climb, rhododendrons, crystal clear lakes, green lush forest, narrow trails, snaking highways, exciting caves, deep gorges, supernatural waterfalls, wild Himalayan rivers, daring rock faces and alternative creations of nature that combined with human created culture are creating Asian nation the foremost well-liked destination within the world of travel. 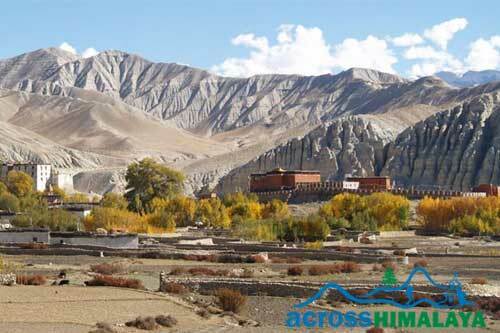 Nepal tour is a popular activity to enjoy your holiday to visit cultural sites, nature and panoramic Himalayas. 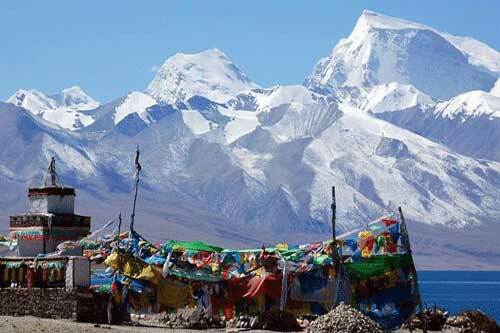 Nepal is the best destination for trekking as well which you also can combine with Tibet & Bhutan tours. No matter whether you are an adventure seeker or a nature lover, Nepal is the place for you. Nepal is for everyone and all seasons. 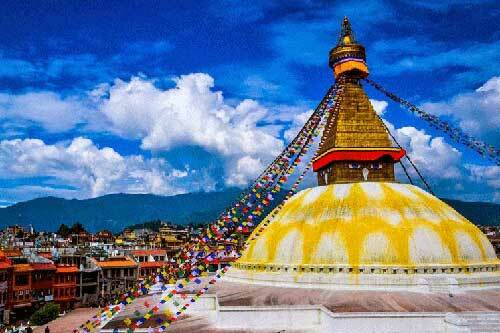 Travelling to Nepal is very safe, hassle free & affordable. Nepalese people are very friendly and generous having centuries long history, tradition and cultural values. Our before travelling to Nepal guide will help you to understand some of the Nepalese cultural beliefs and simple ways to respect them. 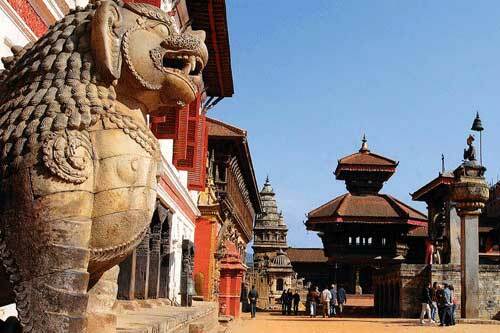 Here you will get some relevant Nepal travel information before to go to Nepal, travelling around, covering visa, food, weather, money, accommodation and different helpful travel tips. You can contact us with your questions, comments or suggestions. 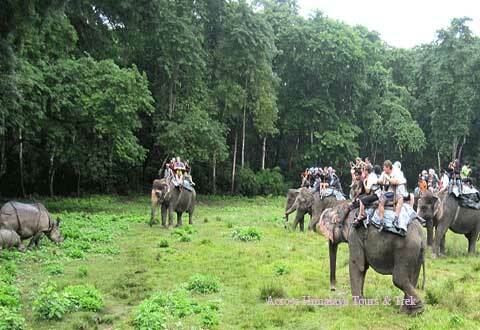 Kathmandu, Pokhara and Chitwan Jungle Safari tour is specifically designed for families travelling with children in the beautiful country of Nepal. 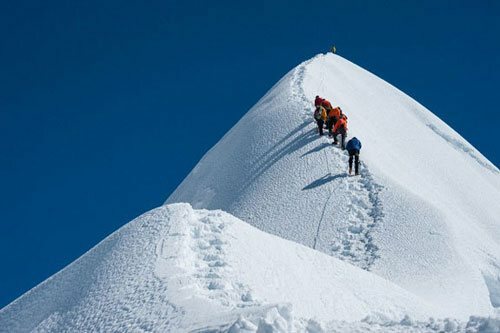 Why to trek in Nepal with Across Himalaya? 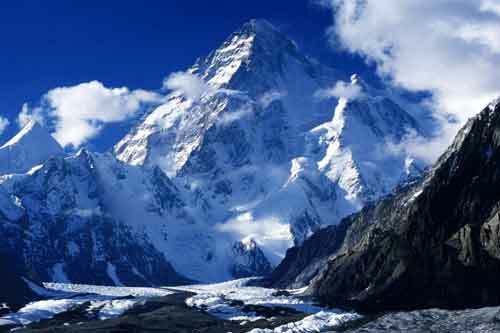 We are growing small outdoor adventure travel organizer, tour operator and trekking agency. Formed by Nepalese youths with years of experience in the Himalayan travel industry! Our staff has lead international groups throughout the Himalayas including Nepal, Tibet & Bhutan. As a quality tour organizer we travel in a small groups managed by a team of professionally trained trekking guides, cooks and Sherpas ensuring that all of our travelers are provided with personal care and the highest quality service. We believe in Green Tourism and our responsibility towards our guests, local people, their customs and culture, to the environment, and to our own crew so you will have an eco friendly experience. We are dedicated to making your holiday in the Himalayas wonderful. The memories of your holiday adventure activities in the Himalayas will be everlasting. Experienced agency for trekking, tour, climbing & mojor travel service in Nepal is local Nepalese agency own by local experts. We operate all trips to be aware on environmental issues which helps to maintain sustainable eco-tourism and purity of environment. We always provide high quality trekking or tour services for our clients as per their requirement for individual or group travellers. We are responsible for the safety concern for the clients and our experience field staffs are well-knowledgable about that. Make your own holiday as per your requirement. We are recommanded on Trip Advisor.